Do you think CRM is just for sales? Think again. Here is why your CRM is a critical part of your customer service strategy. Shep Hyken, a customer service guru, believes that “customer service is not a department, but a philosophy to be embraced by everyone in an organization. It’s part of the culture of a company.” Well, we couldn't agree more. Customer service can make or break an organization. All team members are responsible for their playing their part to ensure the customer is the focus and their experience is optimal. Here are 5 reasons why CRM and Customer Service must be integrated. 1. Easy access to the customer profile/contact record. Customer Service team members deal directly with your customers on a daily basis, therefore it is critical that they have access to data about the customer they are working with. When the support rep understands the contact’s background and previous engagements, they can more effectively address their issues. Access to client records enables the customer service experience to be far more personal, resulting in happier customers and better retention. 2. Ability to track issues for future use. How many times have you called a customer service department and had to explain your situation over and over and over again? Well, if your customer service strategy or ticketing system was integrated into your CRM, all support reps would have access to any part inquiries and your activity history. This makes solving any issue far more efficient and productive for both the customer and the rep. Plus, there is a solid trail of any issues and how they were previously handled or solved. 3.Personalized communication based on customer inquiries. There is nothing better than feeling like you aren’t just a number when you call customer service. Simply addressing a person by their first name can change their whole experience. When customer service has access to the CRM, not only can they personalize communication by using basic data, but also referencing a customer’s past engagements with the company. Shep Hyken often stresses the importance of relationship building over whether in sales, marketing, or customer service. The more personal you get with the customer, the better experience you give them and the more likely they are to become a customer for life. 4. Provide marketing with content ideas. The issues and concerns that come up with customers provide marketing with a myriad of content ideas. If a few people ask a similar question, chances are there are a lot more where that came from. Marketing can use this information to their benefit by creating content that directly addresses trends in customer inquiries. If all of the inquiries are addressed in the CRM, marketing can easily access this data without having to constantly bug the support team for more information. It’s already in the CRM! 5. Provide sales with valuable insights into their leads and customers. Sales works closely with their leads and customers, however, the support team works even closer with them when issues arise. Sales can use customer service records in the CRM as a follow up tactic. The salesman can show attentiveness and caring by addressing any previous inquiries and ensuring everything was solved quickly and effectively. Again, this shows the customer they are more than just a number and that the company really cares about the customer’s experience as a whole. Customer service is everyone’s job, so it only makes sense your ticketing system or customer service platform is directly integrated with your CRM. 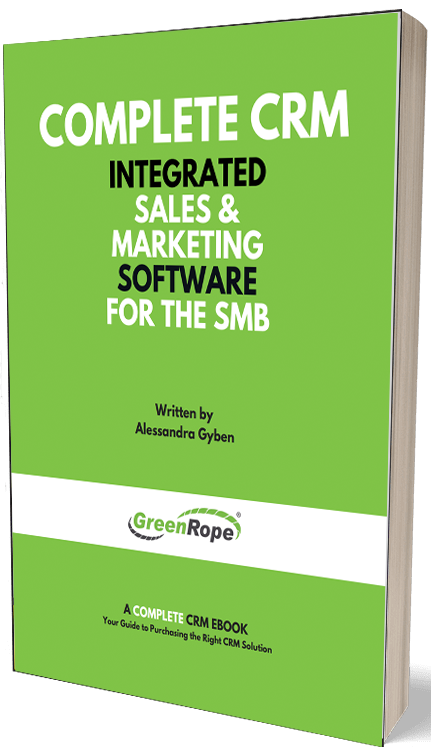 This integration gives the entire team power from sales to marketing, and of course, customer service. If you are worried (which you should be) about delivering the best customer experience possible, then start thinking about how you and your team can collaborate more to ensure a seamless connection between your company and your customers.